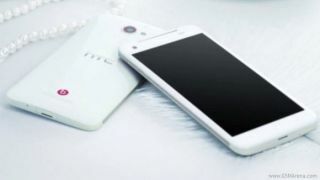 HTC Deluxe pics surface: want a 5-inch wonder? The trend towards the larger screen is increasing, as now pictures have appeared of the HTC Deluxe DLX. This is the same phone we heard about from Twitter last week, and is set to be the global edition of the HTC Butterfly J – or its twin, the HTC Droid DNA. Well, that's the report from GSM Arena, the site that nabbed the press shots of the upcoming phone. The same source also states that the phone will be called the HTC Deluxe DLX, but we can't see that really being the form it would appear in for the UK. For a start there's no Deluxe to add a suffix to, in the manner of the HTC Sensation XE; and then there's the fact the letters are just a capitalised contraction of the name itself. Either naming way, there's a lot to get excited about here. If the HTC Deluxe is similar to the Butterfly, we're talking a 1.5GHz quad core processor, 2GB of RAM, 4G connection and the jewel in the crown: a full 1080p display crammed into that screen. In terms of a HTC Deluxe release date, we're still very much in the dark… but given we've got these press shots (although they could still be fake despite the fact there are multiple angles on show) the smart money is on a launch at one of the upcoming trade shows, so keep your eyes trained on CES 2013 to see if HTC makes an announcement.